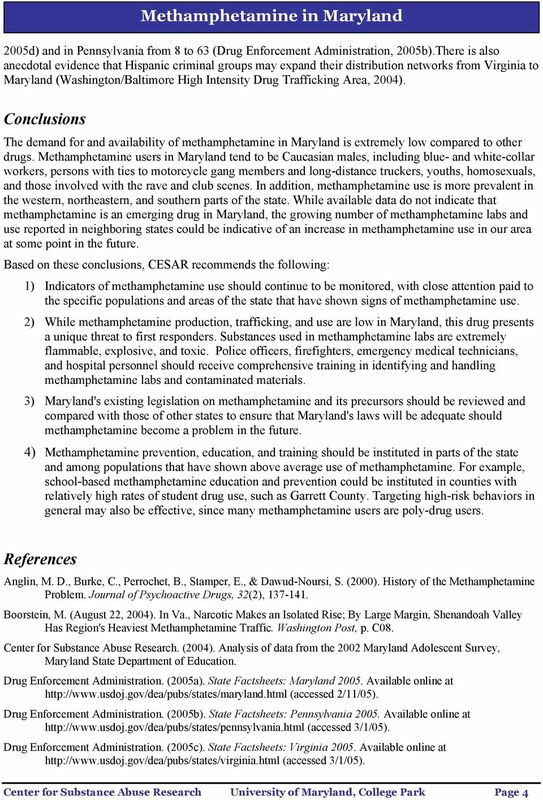 Download "CESAR BRIEFING Methamphetamine in Maryland"
1. 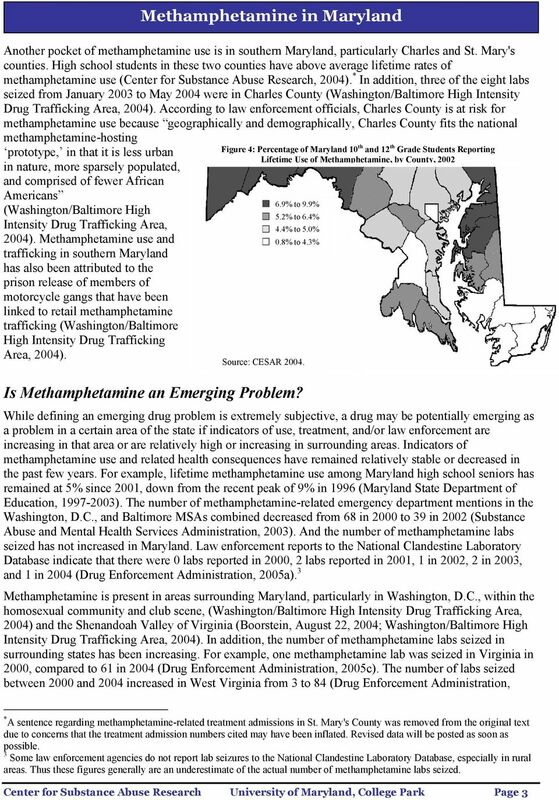 Youth Drug Use More than 40% of Maryland high school seniors used an illicit drug in the past year. Maryland 1. 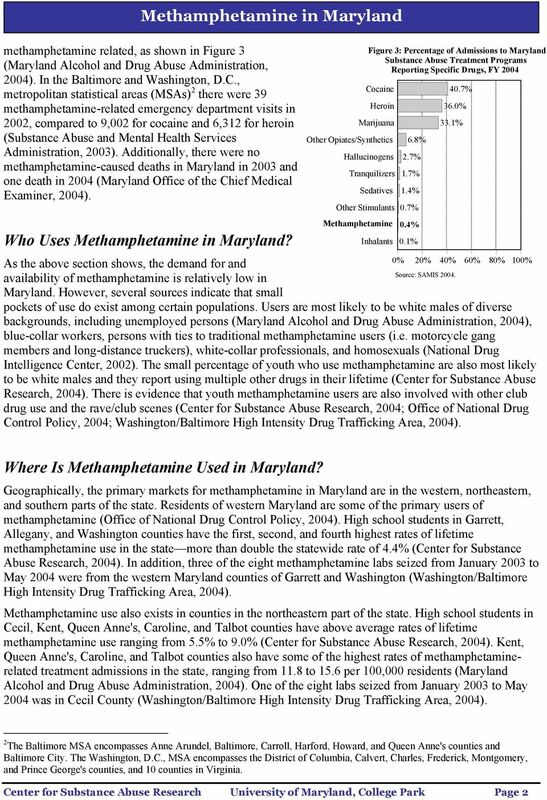 Dependent Public School Systems (39) Maryland ranks 46th among the states in number of local governments, with 265 as of June 2002. 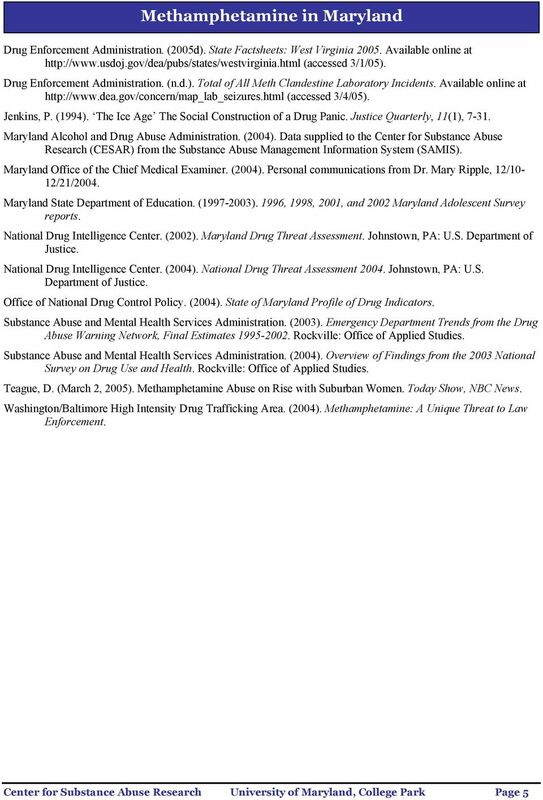 Behavioral Health Barometer United States, 2014 Acknowledgments This report was prepared for the Substance Abuse and Mental Health Services Administration (SAMHSA) by RTI International under contract No. 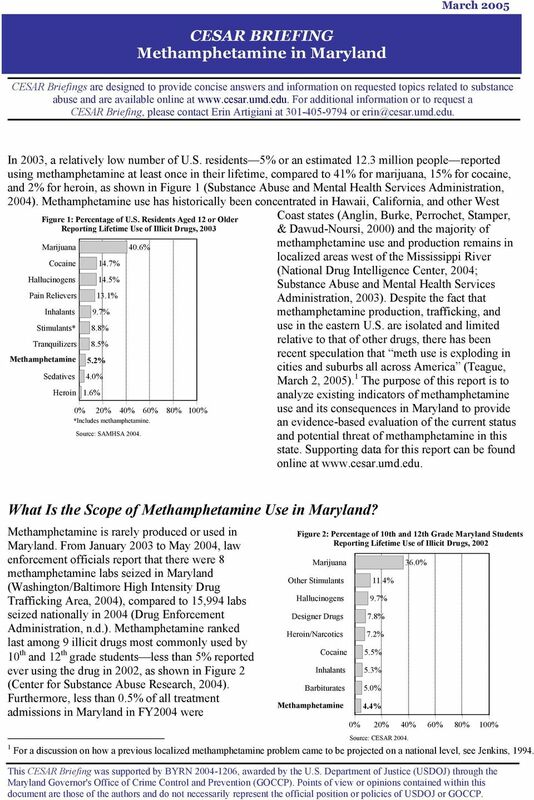 A Comparison Study of Real Estate Tax Closing Costs in Maryland, Northern Virginia, and Washington, D.C.
Colorado Substance Abuse Treatment Clients with Co-Occurring Disorders, FY05 Introduction Many clients who have chronic substance use disorders often simultaneously suffer from a serious mental disorder.